How many stars do you give Shimmer Brick by Bobbi Brown? 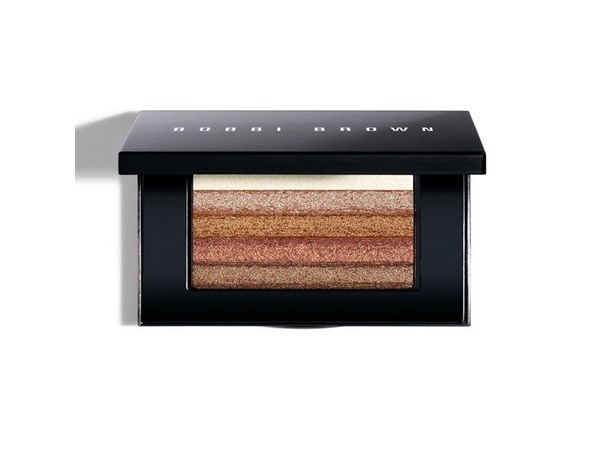 Bobbi Brown Shimmer Brick is available to buy at Fabled, lookfantastic, John Lewis, ASOS, Debenhams, and allbeauty.com. 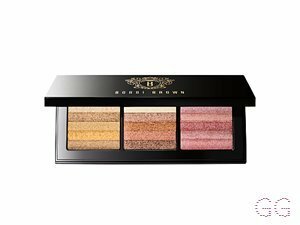 Bobbi Brown Shimmer Brick. This shimmering, brush-on powder creates a perfect all-over glow. The five bars of luminous colour also work as individual eye shadows. I so wanted to love this but I don’t, it’s a little too glittery for my taste. I purchased mine in bronze which I also find to be a little too dark. I does however; make for a good eyeshadow so all is not lost. At £35 i think it’s expensive and I think if I was search for a glow I would rate becca’s products far higher compatible price but Becca out perform this.  GlamGeekClaire, Lickle-Boo and JennyH and 1 others like this. I can't live without my shimmer brick in beige not only does this illuminate my cheeks but it's so versatile high lighting different areas of my face but it's also great to double up as an eye shadow too! The staying power of this little gem is unreal lasts all day... No unnecessary touch ups I can put it on first thing and leave it on the dresser knowing I won't need it again that day hallelujah!!! Yes it's a bit of a splurge but then again when you find a product that suits you so well it's worth the investment my make up bag would not be the same without it girls give it a go! Amestarz, Cassiej and Grotbag like this. A lot of great reviews I'd read re this product but sadly for me it didn't live it up to hype. Too shimmery for my pale skin - I looked like i'd dipped my face my face in glitter! Whilst it has staying power, it's not a product I'll find myself using again - perhaps as an eye shadow and shoulders only, but certainly not anywhere else on my face. I have this in the bronze version and the coverage is quite good, maybe not quite pigmented enough for my liking but that is just because I like quite bold looks. The shimmer does last all day though despite the weakness in the colour. I am in my late teens with sensitive, light tone skin and blue eyes. My hair is medium brown, oily with normal texture. I have this in the neutral pink and bronze palettes. I love them both for an evening or summer look. They sweep easily over cheeks and have a subtle glow if applied lightly. I now finish off my look by sweeping the remainder of product over my eyelids which is very effective. I am in my late 40's/early 50's with combination, light tone skin and blue eyes. My hair is blonde, processed with normal texture. This product makes me feel like a queen. The iridescent glow is just divine. 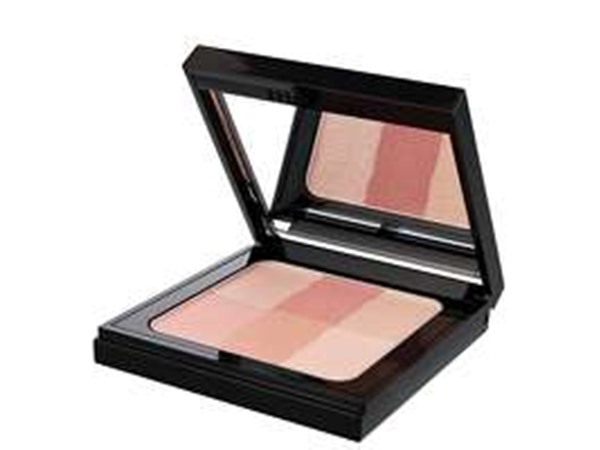 I use it as a highlighter on my cheekbones and I also love to use the individual colours on my eyelids. 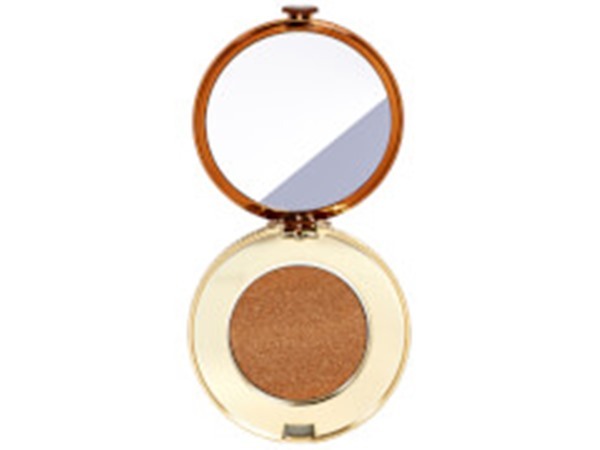 There is a lovely soft shimmer, with delicate golden tones which brighten up my make up perfectly. Only downside is the brick falls apart quite easily so be careful when handling! I am in my mid 20's with combination, medium tone skin and hazel eyes. My hair is medium brown, combination with normal texture. I am in my late teens with combination, fair tone skin and blue eyes. My hair is blonde, combination with fine texture. Great product and lovely highlight, but overly expensive. There are definitely drugstore products that could produce the same effect. It's a good product, but not worth the price. I am in my late teens/early 20's with combination, tanned tone skin and brown eyes. My hair is dark brown, asian with normal texture. 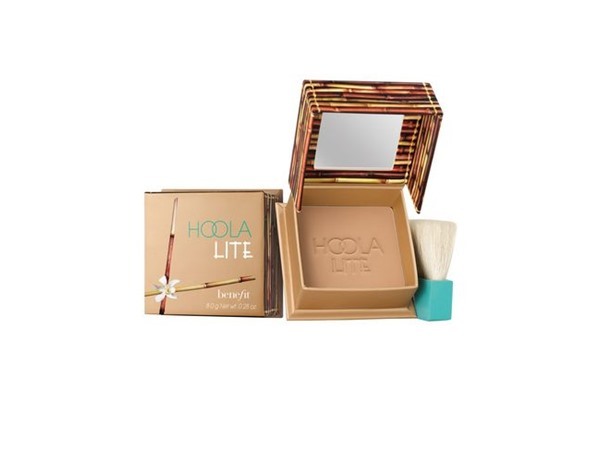 I love this highlighter it's always gives me a radiant refreshed glow. 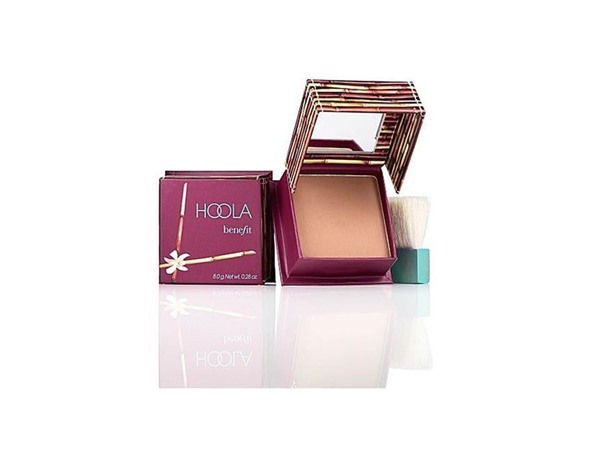 It shimmers so beautifully in light definatly one to add to any make up lovers bag! I am in my late 20's/early 30's with combination, olive tone skin and hazel eyes. My hair is black, combination with coarse texture. I am in my late 20's/early 30's with dry, medium tone skin and brown eyes. My hair is dark brown, dry with normal texture. Personally, I like to use this as a highlighter and for eyeshadows individually. The glow is so natural and radiant and you really can't go wrong. I find that this is too shimmery for bronzing but a definite recommendation for highlighting. The quality is brilliant and the pigment is lovely, but I wouldn't repurchase as Revlon does a good dupe of this for £10. 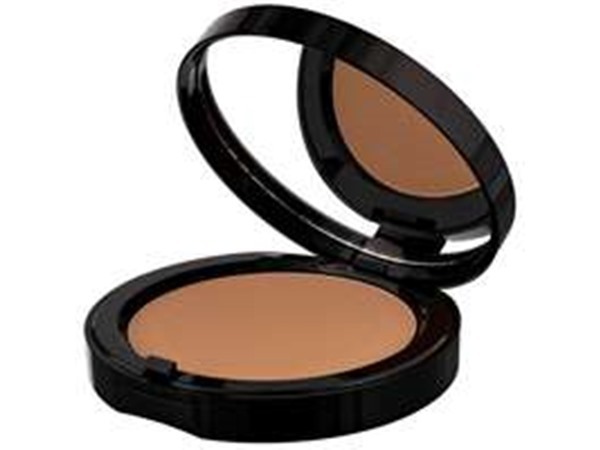 This is a brilliant all-rounder I use it as eyeshadow as well. Apply with or without makeup. I am in my late 40's/early 50's with dry, black tone skin and blue eyes. My hair is blonde, combination with normal texture. I am in my late 20's/early 30's with combination, fair tone skin and blue eyes. My hair is medium brown, combination with normal texture. I am in my mid 40's with combination, light tone skin and blue eyes. My hair is medium brown, combination with normal texture. Great product! You can use for multiple purposes such as highlight and eyeshadow not just a boring old bronzer. Although as a bronzer alone, for me it's slightly too shimmery and had a very warm tone. But over all a lovely product. I am in my late teens with oily, fair tone skin and blue eyes. My hair is medium brown, normal with fine texture. 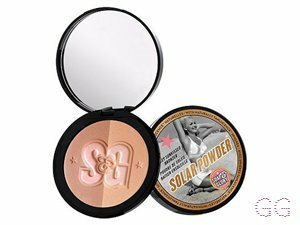 I do really like these, but i use them more for highlighting my cheeks rather than bronzing I think it's much more shimmery then i thought but i love this as a highlight! Highly recommend! This is pricey but worth it. 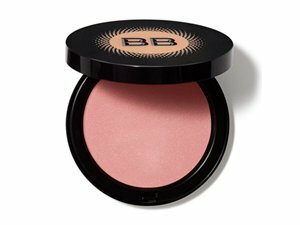 It lasts ages, stays on all day and you can use it as a blush, highlighter and eyeshadow. It gives you a gorgeous glow without being too glittery or shimmery. I am in my late teens/early 20's with combination, medium tone skin and green eyes. My hair is medium brown, oily with normal texture. i bought the pink shimmer brick by bobbi brown on boxing day and so far i am in love with it! You don't need to pile loads on just a few swipes on top if the cheek bone can make your face brighten and look highlighted; i also love the way it can be used for multiple things, eyeshadow, highlight, etc.. i would definitely buy this again without a doubt. The only issue really is the price. I am in my late teens with oily, light tone skin and blue eyes. My hair is dark brown, normal with normal texture. This is one of my favourite blush/highlights because it looks so beautiful and natural, also the colours also look stunning on your eyes and give a summery, awake vibe to the makeup! Overall I just love everything about this!! I am in my late teens/early 20's with combination, light tone skin and blue eyes. My hair is red, oily with normal texture. I am in my late teens/early 20's with dry, light tone skin and green eyes. My hair is dark brown, normal with normal texture.